The mofreaky is the world's mo-logic organization. It coordinates, directs, and performs highly specialized activities to freak systems and produce the mofreaky information. The mofreaky is a down to earth high technology organization on the frontier of collecting and customizing. It is also one of the most important centers of mofreaky research on the planet. As the world becomes more and more mo-oriented, the mofreaky mission becomes increasingly difficult. This mission involves keeping the mofreaky mo-ing and freak-ing. The mofreaky is a unique discipline with a long and storied past. The mofreaky conducts one of the world's leading research and development programs. Some of the mofreaky's R&D projects have significantly advanced "the state of the art" in the play and custom worlds. The mofreaky pioneered efforts in flexible capabilities, which led to the development of even more mo-stuff. 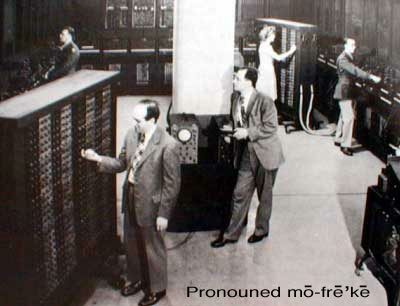 The mofreaky also made ground-breaking developments in mo-technology and nano-mo-technology. The mofreaky employs the country's premier mo-makers and mo-breakers. It is said to be the largest employer of mo-ticians in the world. Team mofreaky contributes directly to its three missions: the mofreaky play systems, customizing the mofreaky systems and the mofreaky collection systems. The mo-world changes rapidly, and great emphasis is placed on staying ahead of this change with employee training programs. The möfreaky schööl is indicative of the mofreaky's commitment to professional development. Play, customize and collect - the triangle of mo-tivation.